While rock crystal quartz is easily identifiable, conundrum quartz is called so because it contains a mysterious blend of up to 7 different types of mineral inclusions. Looking into this crystal, you may think that you're taking in a view from outer space! 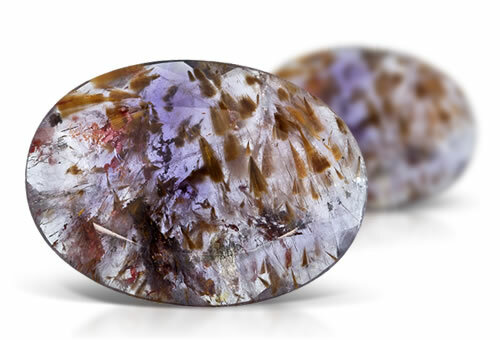 These unique gems are a treat to collectors with their varied, sundry mix of mineral inclusions creating a completely different look for each stone. Take a loupe or microscope to these gems, and explore the confounding menagerie within. Conundrum quartz can contian liquid, two-phase and three-phase inclusions, negative crystals, minerals, needles, rutile, iron particles, cacoxenite, goethite and hematite. Stones will contain multiple mineral inclusions.